"Berlin–based photographer and illustrator Lisa Rienermann created this unique font out of buildings and blue skies while studying at the University of Duisburg–Essen; it was awarded a certificate of typographic excellence by the Type Directors Club New York back in 2007. 'It began with the 'Q,'' she has explained. 'I was in a kind of courtyard in Barcelona. I looked upward and saw houses, the blue sky and clouds. The more I looked, I saw that the houses formed a letter Q.' 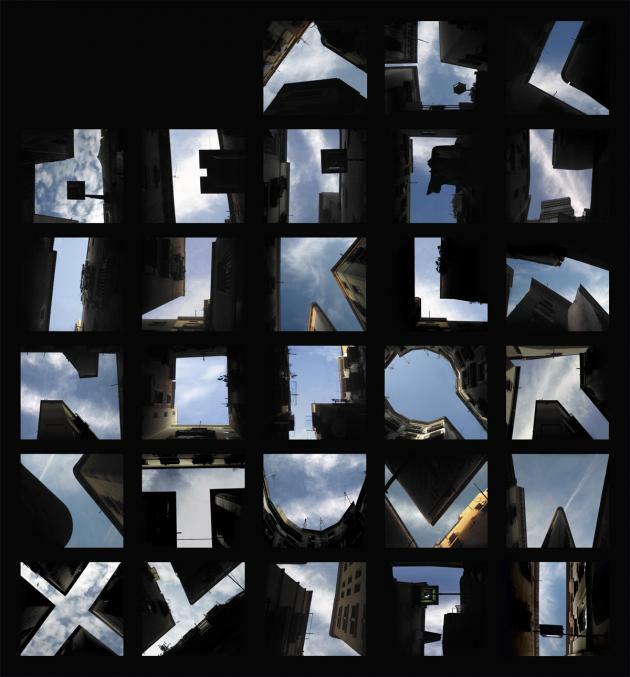 Click through for a better look at some of the letters." Fig.1 Lisa Rienermann (2007). "Type The Sky". 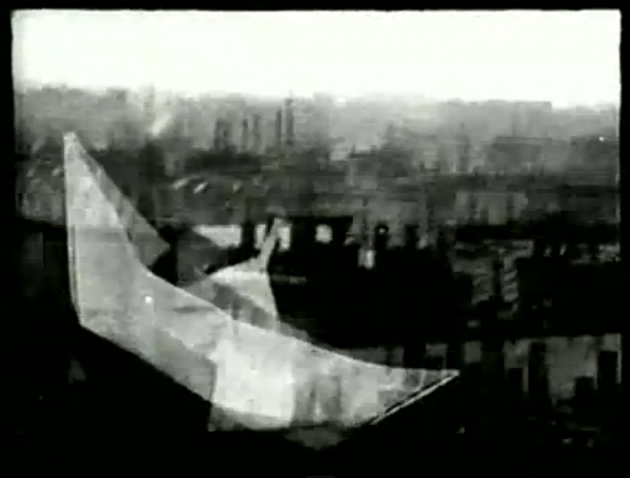 In Rene Clair's Entr'Acte (1924) shows a paper boat floating in the positive space of the Paris skyline. In doing so Clair re–purposes architectural space for poetic ends.